A report from Juniper Research forecasts that the number of residential TVs, connected to the Internet via different platforms such as Blu-ray players, set-top boxes and consoles, and also via built in wireless or Ethernet connectivity, will reach almost 650 million by 2017. 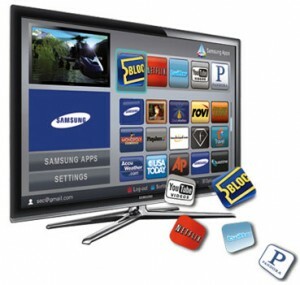 The report finds that Smart TVs are becoming mainstream amongst consumers, similar to smartphone and tablet adoption. Even though the replacement cycle of TVs are longer than for, say smartphones, the report forecasts strong growth over the forecast period. Juniper finds that there is an increasing demand from consumers for new video content services from OTT providers Netflix, LOVEFiLM and YouTube. The revenue and profitability of traditional entertainment services within the home has attracted many new players including content aggregators and platform providers such as Apple and Google. This consumer demand for connectivity and content has influenced the smart home entertainment segment in a major way along with the – integration of social media, multi-screen strategies and applications. Report author Nitin Bhas noted that as the cost of these connected devices fall over the period of forecast, the value of connectivity will rise. “The consumer electronics industry along with key players, such as the content aggregators and platform providers, needs to clearly define this device ecosystem and start working towards driving this phase of growth and turn it into a revenue opportunity”, Bhas commented.